Collared button down shirt with iconic, Burberry® plaid print. Short sleeves with contrast piping. Front chest pocket with contrast trim. 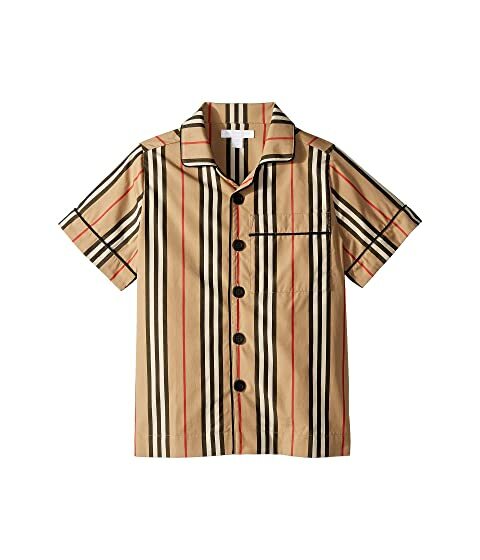 We can't currently find any similar items for the Andres Icon Stripe Shirt (Little Kids/Big Kids) by Burberry Kids. Sorry!